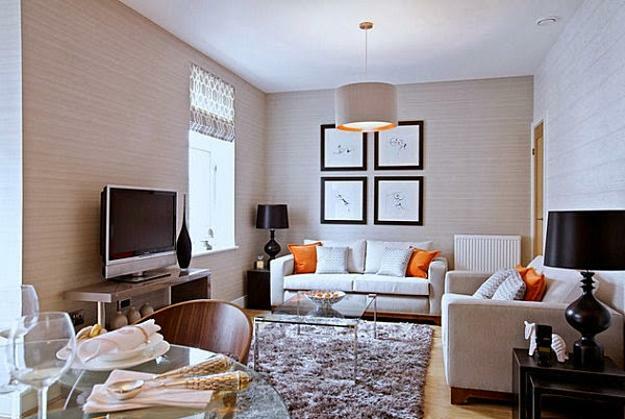 Small living room designs can feel airy, bright, spacious and comfortable. 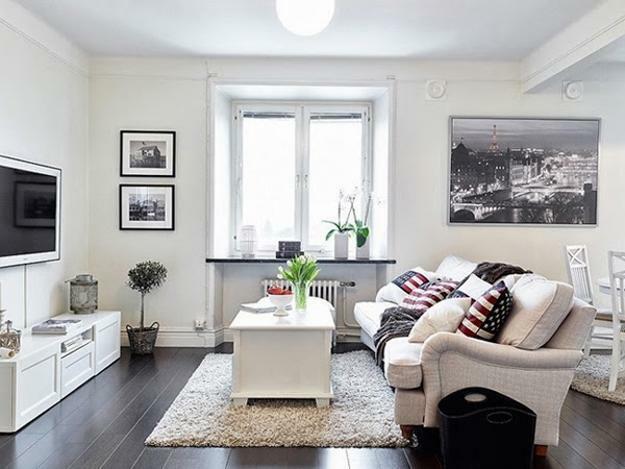 Modern ideas and space saving solutions, compact living room furniture and smart furniture placement can create beautiful, functional and stylish living rooms in small spaces. Lushome collection of small living room designs provides inspirations for decorating small apartments and homes and give tips that help fool the eyes and stretch small rooms visually. 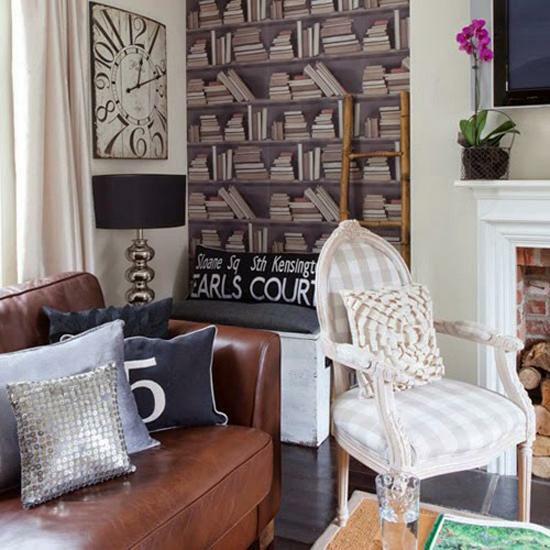 Helpful home staging tips and expert secrets for small rooms can add a spacious look to small living room designs and enhance interior decorating. Straightforward and easy ideas can make a huge difference between feeling cozy and feeling cramped in cluttered, lacking interest, small spaces. 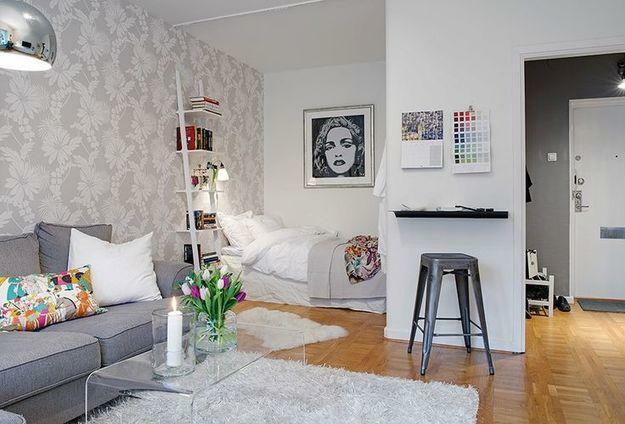 There are modern ideas for space saving interior design. 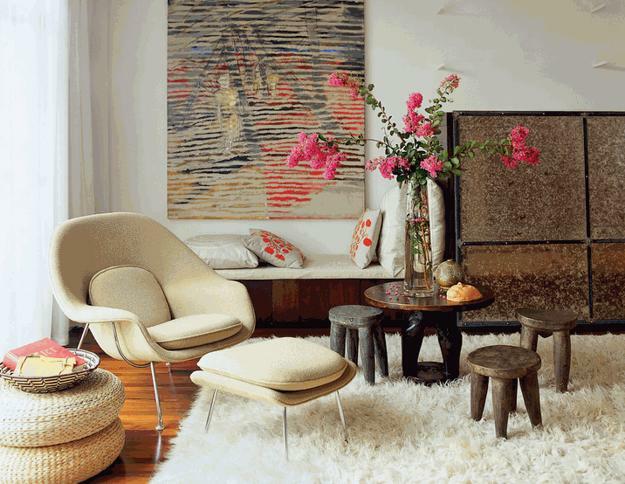 You do not need a lot of space to create a functional and stylish living room. When you have only one small room where you can relax, watch TV, read and entertain, multifunctional and flexible interior design, space-saving furniture, light room colors and space saving furniture placement help decorate it to maximize the small rooms and accomplish bright and comfortable small living room design. The trick is to enlarge small living room designs visually and maximize small spaces by using room colors, interior design and decorating ideas that fool the eyes. Functional and spacious interior design for small living rooms calls for transformer furniture and multipurpose items, space saving ideas, light room colors and smart living room furniture placement that help maximize small spaces. 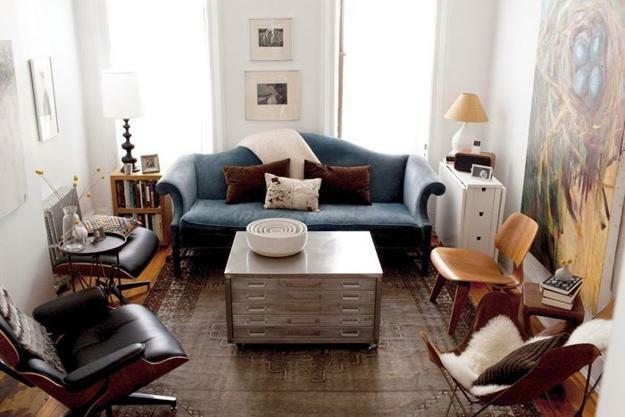 Corner furniture items, sofa sectionals and compact living room furniture are more practical for small living rooms than a traditional sofa and large chairs. A compact living room sofa and bed creates a stylish look and gives a spacious feel too small living room designs, turning a small living area into a bedroom. 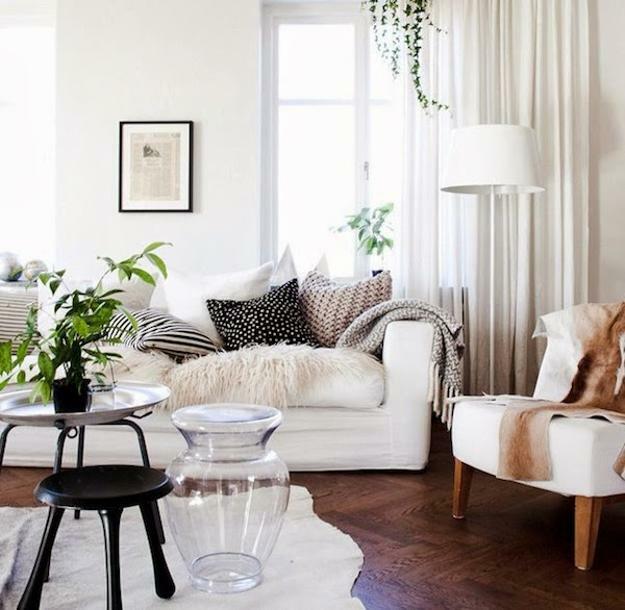 Light living room colors, especially living room furniture pieces in neutral colors that match the wall color make small living rooms feel larger and brighter. Giving a Stylish touch with colorful and textured room decor accessories creates a sense of energy and enhances small living room designs. 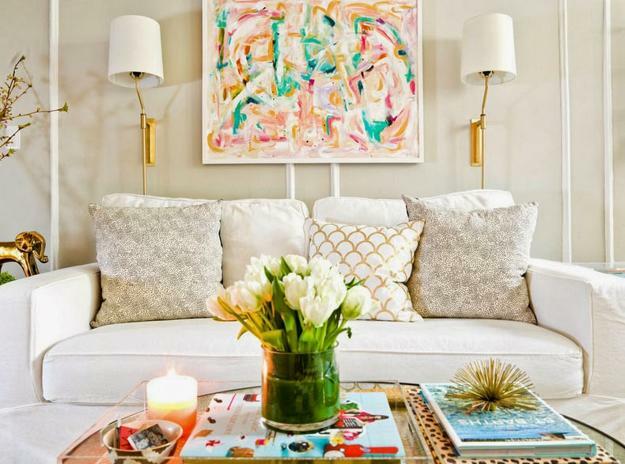 Modern interior design and decorating ideas for small living rooms call for the creative use of lighting fixtures to brighten up small spaces and make living room designs feel more expansive, light and stylish. 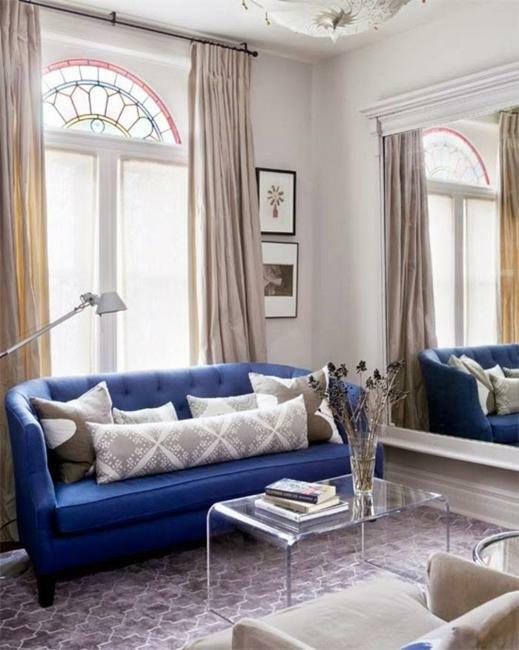 Large wall mirrors, creative ideas for decorating with glass, polished metal and glossy ceramics are ideal for decorating small apartments and homes. 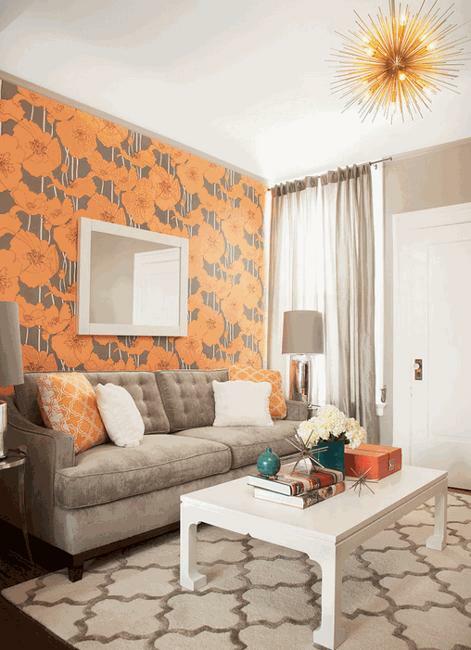 Small living room designs appear more spacious with light walls and ceilings. Very light blue color tones reminiscent of the skies are ideal for decorating small spaces. Light paint colors and high gloss finishes give the impression of height, stretching small rooms. Bookcases and shelves behind living room furniture pieces save space in small rooms and help create great storage. 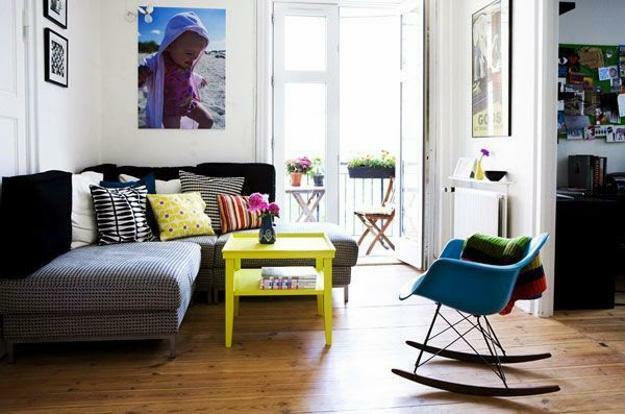 Portable furniture, usually kept in closets, allows decorating small living rooms with additional seats for guests. 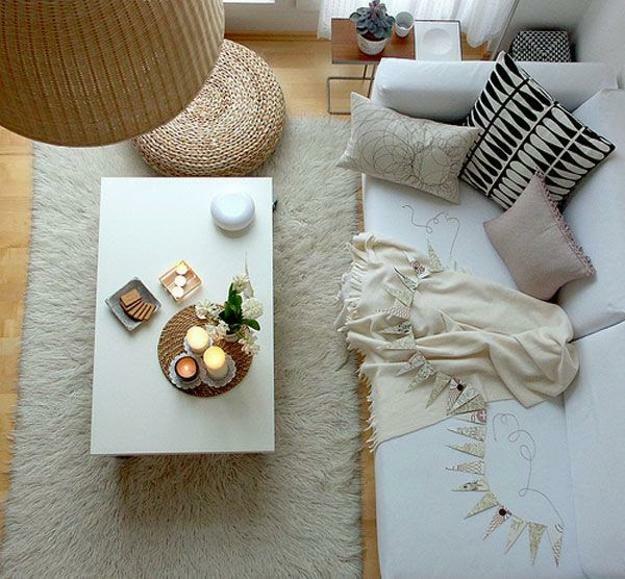 Simple slipcovers in light neutral colors are excellent decorating accessories, versatile and functional. Slipcovers will dress up living room furniture and complement living room decorating style. 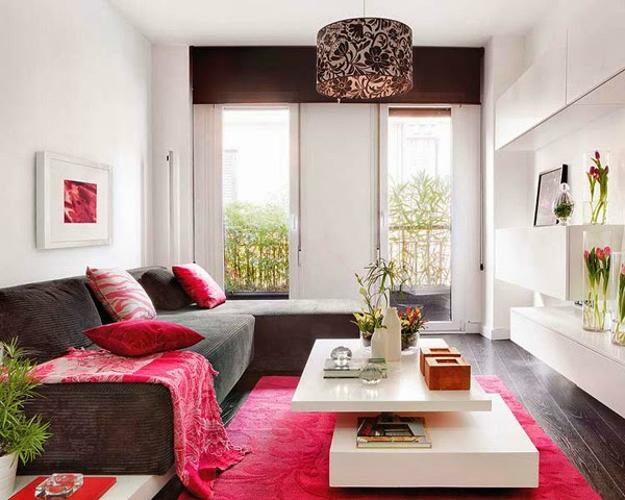 Modern living room designs in small spaces can look spacious, beautiful and functional. 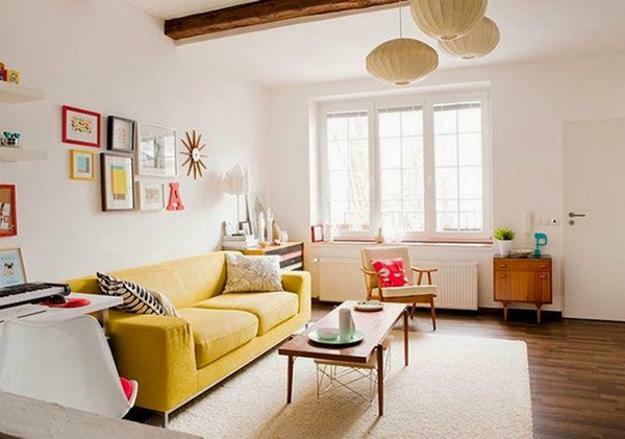 Compact living room furniture, space saving furniture placement, bright lighting fixtures, light room colors and practical home accessories are great ideas for making functional small living room designs feel larger, more pleasant and inviting.